April 22, 2016 by Brad 10 Comments Richmond Savers has partnered with CardRatings for our coverage of credit card products. Richmond Savers and CardRatings may receive a commission from card issuers. Our step-by-step guide on how to take a nearly free family trip to Walt Disney World in Florida using credit card rewards points has been featured in the NY Times, NBC, CBS and the Huffington Post. 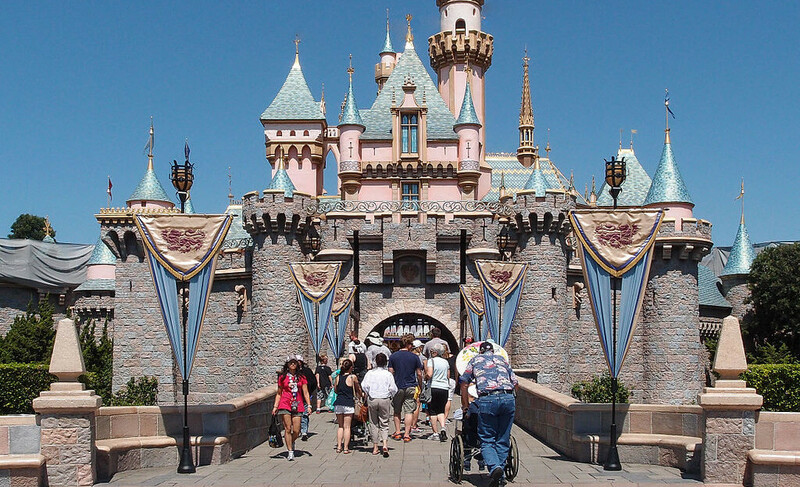 This article is a step-by-step guide to do the same for Disneyland in Anaheim, California! You can save over $4,000 by following this guide and to make it happen you’ll need to open a few new credit cards to earn the significant signup bonuses on each card. Then you’ll use those signup bonuses for a nearly free trip to Disneyland! Since you’re paying your credit cards off on time and in full every month this will cost you $0 in interest and the annual fees are even waived the first year on all the cards we recommend, so it really will cost you $0 to follow this plan. If you are responsible with your cards, we think you’ll find this a surprisingly easy (and fun!) 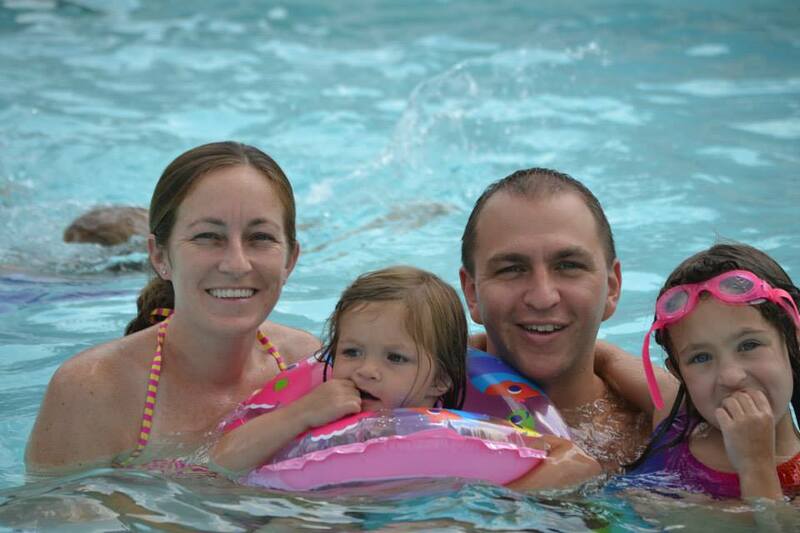 way to save over $4,000 on your Disneyland family vacation! 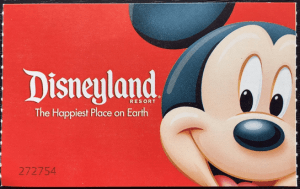 There aren’t any credit cards just for Disneyland park tickets, but we did the research and found a way to pay for your Disneyland tickets with rewards points anyway! The Capital One® Venture® Rewards Credit Card lets you pay for “travel expenses” with your credit card and then log in to “erase” those purchases using your points. If you meet the minimum spend requirement on the card, you’ll have $560 worth of travel to redeem! Easy as that! Here’s the thing, buying tickets directly from Disney won’t work because they aren’t coded as a “travel expense.” But buying tickets from a reseller will! Our choice to purchase Disneyland park tickets is official authorized Disneyland ticket vendor aResTravel.com and since they are coded as a “travel agency” you can use your Venture miles. We personally spoke with two of their Vice Presidents and ran some test charges so we know this works. If you and your spouse/significant other each open one of these credit cards and hit the spending requirements you’ll have at least $1120 in total travel statement credits available ($560 x 2). You will need to each buy some of the Disneyland park tickets on each credit card account, so you’ll each have “travel expenses” to redeem your miles against. aResTravel.com is highly recommended by MouseSavers.com so you know you can rely on them. There is no shipping cost, so you can split your ticket purchase over these credit cards and it won’t cost you anything extra to do this. All you need to get started is the Capital One Venture card. Basics: Earn a 50,000-mile “early spend bonus” when you spend $3,000 in the first 3 months. The $95 annual fee is waived the first year. Favorite perk: We love that redemptions are incredibly simple. Just reimburse yourself for qualifying travel expenses (by “erasing” them). This is worth $560 of flexible travel! Most people assume that LAX Airport is the easiest to use to visit Disneyland, but a friend of mine who lives in the area says the John Wayne Airport (airport code SNA) in Orange County is the closest and most convenient to get to Disneyland. A quick look at the SNA Airport Wikipedia page shows us that the biggest airline presence there is Southwest Airlines, which is ideal. The Keys to the Magic Kingdom Challenge: Want a little help saving big on YOUR family trip to Disneyland or Disney World? CLICK HERE to learn more about our Keys to the Magic Kingdom Challenge where we are personally helping 500 families plan their Disney vacations using credit card rewards points (to save over $2,000,000 combined for these 500 families). For most families, the easiest way to get your flights will be to each open a Chase Sapphire Preferred card, which earns Ultimate Rewards (UR). These points are incredibly valuable since you can either use them to book travel directly through the online portal or you can transfer them to one of their rewards partners such as United, Southwest or British Airways where they become true frequent flyer miles in those programs. The current sign-up bonus is 60,000 points after reaching the minimum spending requirement of $4,000 (of your regular spending) in the first 3 months the account is open. There is a $95 annual fee. You’ll each earn the 60,000 point bonus plus at least 4,000 points for your $4,000 worth of spending (2x points on travel and dining at restaurants, so while the minimum is 4,000, it will be more than that if you have purchases in those categories), so after meeting all the requirements you’ll have at minimum 64,000 points. The easiest and most flexible option allows you to purchase your flights through your online rewards portal. 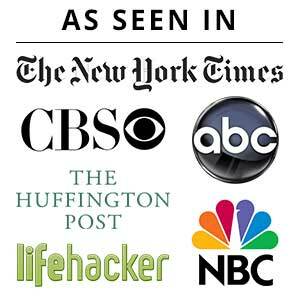 This is as simple as searching on any of your favorite online travel sites, so nothing difficult here at all! You will get 1.25 cents per point in value this way, which equates to $1,600 in free flights from your 128,000 points. That will give you a lot of flexibility to book on the airline of your choice and $1,600 should cover the vast majority of the flight expense for a family heading to Anaheim. The second option is to transfer these points to one of the partner airlines to book award tickets at that airline. You will want both spouses to send their points to one frequent flyer account and consolidate them there. Southwest Airlines is your best option by far since those miles are easy to use, and you likely will get more than $1,600 of value out of booking this way. Southwest has no blackout dates and the award tickets are based on how much the flights cost, so this was the choice we made. We know many people who booked through the portal for simplicity and convenience, as it couldn’t be easier to book that way. 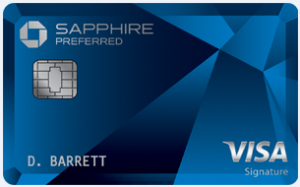 Click Here to get started with the Chase Sapphire Preferred. Disneyland’s website lists 41 “Good Neighbor hotels” they recommend for lodging near the park. We filtered by hotels under 1/2 mile from the park and we saw the Sheraton Park Hotel at the Anaheim Resort listed as a ‘superior’ hotel option. By opening 2 credit cards and putting your normal spending on them to earn the bonus, you can earn enough points for at least five free nights at the Sheraton Park Hotel near Disneyland. (35,000 points per night, and the 5th consecutive night is free when booked with points). You can earn even more nights when there is a higher offer on the Marriott card. So far we’ve seen it fluctuate between 75,000 and 100,000 points. You and your significant other could each open a Marriott Bonvoy Credit Card. The current offer is 100,000 bonus points when you spend $5,000 on each card within the first three months each account is open. When you add in the 2x earnings on everyday spend, you’ll end up with 110,000 points from meeting the bonus. That’s 220,000 if you and a spouse do it. You’ll also get a free anniversary night worth up to 35,000 points. Annual fee of $95 applies. Click here to learn more about the Marriott Bonvoy Boundless. 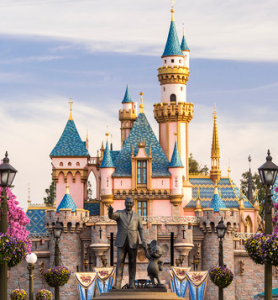 You just learned how to use credit card rewards points to take a nearly free trip to Disneyland in California for up to nine nights including hotel, airfare and park tickets. By following the instructions in this article you can save $4,326+ on your family vacation to Disneyland. If this sounds like just the right plan for you, we’d love to have you join our Keys to the Magic Kingdom Challenge where we’re personally helping 500 families plan their Disney vacations using credit card rewards points. This is a free group to join, but we’re only looking for families who will follow through on the plan as we’re devoting a lot of time to helping each family. Check it out and apply today for one of the free spots! Do you know if it still works to use your Barclay Points through aResTravel? Monica, we don’t have a lot of data points on this, but I don’t see why it wouldn’t. The key is that the purchase gets coded as “travel” and there’s no reason to think aRes Travel wouldn’t be coded like that any longer. If you want to be sure, though, you might call and ask them about the coding. I would add that you can sign up for the Disney Premiere credit card which is currently promoting a $200 disney gift card after only $500 purchases in 3 months. The annual fee of $49 dollars isn’t waived the first year like these other cards, but this is still quite worth it. There are also in park perks like special character experiences and discounts on dining and merchandise. We got to meet mickey and goofy without a line and my 3 year old son was able to play with figurines with them for almost 10 minutes. It was one of the trip highlights – made possible with the card. I definitely recommend it as an addition for a Disneyland or WDW trip. That’s awesome, Laura! This is definitely a topic for a future post. 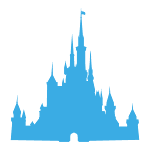 Saw you site, and tried the Disneyland tickets through ares travel. I just wanted to let everyone know that the Barclaycard World Arrival travel statement credit still works when buying tickets through aRes travel as of 8/1/17. Thanks for the info! Ryan, thanks SO much for sharing that as a data point with us. Hope you have/had a blast at Disneyland! If we want to go to Disneyland next year, does the Barley card have a time limit? Hi Huong. I’m not sure what you mean by a limit. You will have to pay an annual fee on the card after the first year passes, but there’s not a limit on the points (they won’t expire) as long as the card is open. As for redeeming your purchases with the miles, you have 120 days to do that. In other words, once you purchase tickets (or whatever other “travel” expense), you have 120 days to erase that purchase (reimburse yourself, however you want to think about it) with your miles. Also, check out this post. It talks about the increased bonus on the Capital One Venture, which may be the better option right not. . This comment fell through the cracks somehow (sorry!). Barclaycard Arrival Plus was temporarily taken off the market, but it’s back now. Yes, that card and the Capital One Venture still work for this purpose!